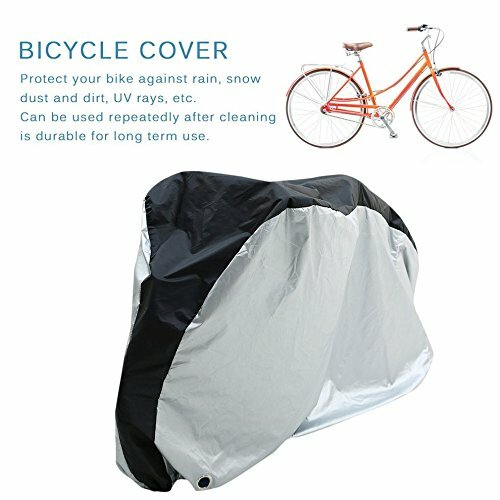 Features: Protect your bike against rain, snow, dust and dirt, UV rays, etc. Can be used repeatedly after cleaning, is durable for long term use. The bike will stay dry - no water can penetrate. Complete exterior and interior waterproof processing. Special designed buckle at the bottom to help stabilizing the cover.